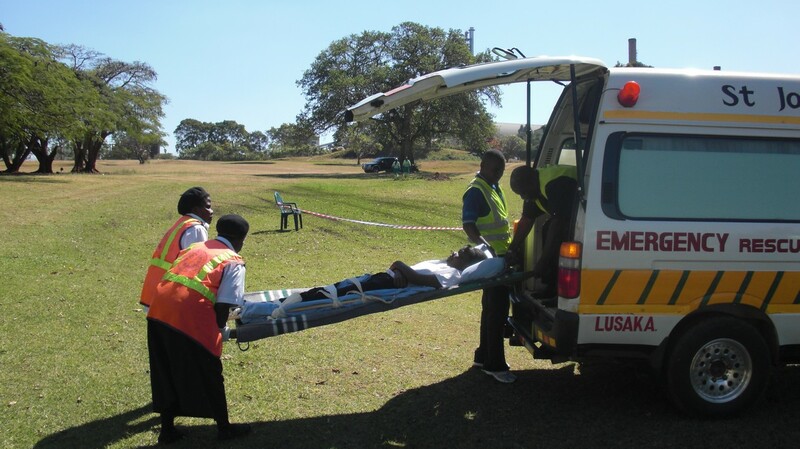 BACKGROUND: In Zambia, an increasing burden of acute illness and injury emphasised the necessity of strengthening the national emergency care system. OBJECTIVE: The objective of this study was to identify critical interventions necessary to improve the Zambian emergency care system by determining the current pattern of emergency care delivery as experienced by members of the community, identifying the barriers faced when trying to access emergency care and gathering community-generated solutions to improve emergency care in their setting. METHODS: We used a qualitative research methodology to conduct focus groups with community members and healthcare providers in three Zambian provinces. Twenty-one community focus groups with 183 total participants were conducted overall, split equally between the provinces. An additional six focus groups were conducted with Zambian healthcare providers. Data were coded, aggregated and analysed using the content analysis approach. RESULTS: Community members in Zambia experience a wide range of medical emergencies. There is substantial reliance on family members and neighbours for assistance, commonly with transportation. Community-identified and provider-identified barriers to emergency care included transportation, healthcare provider deficiencies, lack of community knowledge, the national referral system and police protocols. CONCLUSIONS: Creating community education initiatives, strengthening the formal prehospital emergency care system, implementing triage in healthcare facilities and training healthcare providers in emergency care were community-identified and provider-identified solutions for improving access to emergency care.